Be The First to Review the Rock 'N' Roll Santiago! 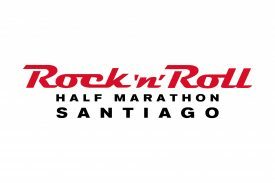 The Rock 'N' Roll Santiago is a Running race in Santiago, consisting of a Half Marathon. Known worldwide for its winemaking quality, Santiago is emerging as a cosmopolitan city that stands as one of the most modern in South America, combining tradition and modernity, but also delights with its beautiful natural charms. For more than two decades, the Rock 'n' Roll Marathon series has entertained thousands of people around the world, surprising every circuit with live bands, animation teams, cultural activations and much more, becoming the biggest serial from the world of running, with more than 30 events and 600 thousand rock runners annually. We are constantly restoring our focus to offer the best events in their class, where music is fundamental to our community that encouragesKeep Reading participants to feel as if they are something bigger than themselves. We promise you live bands every step of the way! Where Rock 'n' Roll, jazz, blues, rock and other musical lines, will be the rhythm to motivate to celebrate great moments along the way and at the finish line, where a great musical concert with a stellar band they are waiting for you.